Your website needs images because they provide a number of benefits. For one, they are an excellent way to break up text, creating a stronger flow in your copy and making it more digestible. For another, combining textual communication with visual communication improves the ability of your content to convey an idea. Plus, many people like being able to see a product before making a purchasing decision. While eCommerce websites require images for these and other reasons, they may experience difficulty in finding ones that are pertinent, high-quality, and inexpensive. Companies that recognized this need developed an entire industry around creating “stock photos” and allowing others to use them for a price. Simply taking images from them, or from other websites, without paying for licensing fees puts people at risk of a lawsuit. However, budget-conscious online store owners can also find plenty of resources that can provide them with first-rate stock images at no cost. Here are some of the best websites with free stock images. 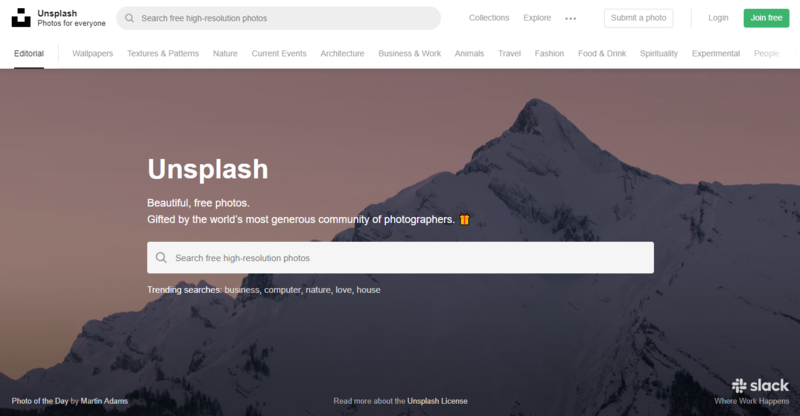 Unsplash boasts about having “the world’s most generous community of photographers,” and that may not be much of an exaggeration. Each and every one of the site’s hundreds of thousands of photos are not just completely free to use, but also rendered in high resolution. Unsplash’s model is an artistic and idealistic attack against the stock image industry mentioned in the introduction. No copyright licensing is necessary, no royalties need to be paid, and no permissions need to be given. All they request is a quick credit to the photographer, which is completely optional but only fair. Since its founding in 2010, Pixabay users have uploaded more than 1.5 million free stock photos onto their site. This astonishing number beats that of most competitors, but it is not the only draw to the site. Unlike many of their competitors, Pixabay also offers free illustrations, vector graphics, and even videos. They do have a few licensing guidelines — for example, “Don’t sell copies of an image or video,” and you cannot use them for commercial purposes. Still, Pixabay’s quality guidelines ensure that everything you see in this gargantuan selection is useful and aesthetically appealing. Pexels offers hundreds of thousands of high-resolution images, with new ones appearing every day. The “About Us” page claims the photos are “hand-picked” based on certain quality standards, and they are sourced from user uploads and other websites with free stock images. You can use them however you want, even for a commercial project. Of course, you should avoid using any photos containing trademarked or copyrighted content for such purposes or risk facing a lawsuit. On the flipside, they are open to partnerships with companies and brands. The aforementioned stock image sites are extremely general and have something for everyone. Superfamous Images, on the other hand, fills a far more specific niche. If its wide collection of dazzling environmental images and striking abstract compositions fits your site’s content, you can really make your visual style stand out. Superfamous Images is a project from Superfamous Studios, which is itself the brainchild of Dutch designer Folkert Gorter. This artist believes greatly in artistic freedom, and practically all of his work is available through a Creative Commons Attribution 3.0 license. That means you are free to use anything from Superfamous Images for any purpose, but only if you give credit where it is due. Filling a different niche than the nature-worshipping Superfamous Images, Startup Stock Photos proclaims itself to be “for startups, bloggers, publishers, websites, designers, developers, creators, and everyone else.” To this end, most (if not all) of their professionally shot photos depict office environments and technology. Startup Stock Photos was created in 2014 by Sculpt, a social media marketing agency based in Iowa. Taking inspiration from Unsplash, they wanted to support start-ups by providing uncopyrighted and unpixelated stock images. No attribution is necessary, but any links to either Startup Stock Photos or Sculpt will get a “hat tip to your content” from them. ISO Republic’s selection of 3000 stock images seems scant compared to other websites. However, the young independent website is steadily growing, and they maintain high standards of quality, which you can see in every image they provide. They even offer 40 stock videos — a small number, perhaps, but still higher than many competitors. Everything on the site is CC0 licensed and free for commercial and personal use. More recently, ISO Republic created an offshoot website for food and drink images, called Foodie Factor. This spin-off is still rather new, and at this time, their selection is limited to more than 1200 photos. With that said, this site has far more pictures than the “Food” category on ISO Republic. Like its parent site, Foodie Factor makes sure that everything they offer is high-resolution, high-quality, and completely uncopyrighted. If Magdeleine has one key principle (beyond its tagline, which states, “Hand-picked free photos for your inspiration”), it must be classification. This website strives to aid people in their search by assigning photos to general categories and utilizing specific tags. They even give the option to only see images with a specific dominant color. 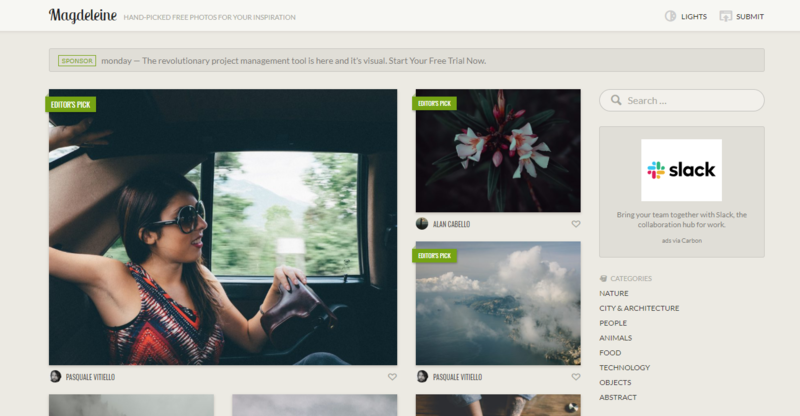 All of these tools should help site visitors find high-quality photos that match their vision. Magdeleine also catalogs their stock photos under two different licenses. Anyone can use their selection of public domain photos (under the Creative Commons CC0 license for any purpose, with no actions or transactions required. Certain photos fall under the “Attribution Required” label, so no matter what one chooses to do with the picture, they must credit the photographer responsible. If you casually browse the site, make sure to see the symbol on the picture’s top-right corner for its licensing information. Meanwhile, the mission that guides Rawpixel seems to be diversity. According to the “About Us” page, they seek to “create design resources that reflect today’s society as it really is” and pride themselves on “having the most diverse stock photos in the industry.” Rawpixel’s founders take advantage of the popularity of free stock images to spread their ethos, and conscious people can diversify the faces on their website more easily. You can see this principle at work in a number of Rawpixel’s projects. In addition to mainstay categories like “Flowers” for flowers ecommerce websites and “Food and Drink,” they also have categories specific to certain groups, including “LGBT,” “Seniors,” and “Body Positivity” (featuring plus-size models). 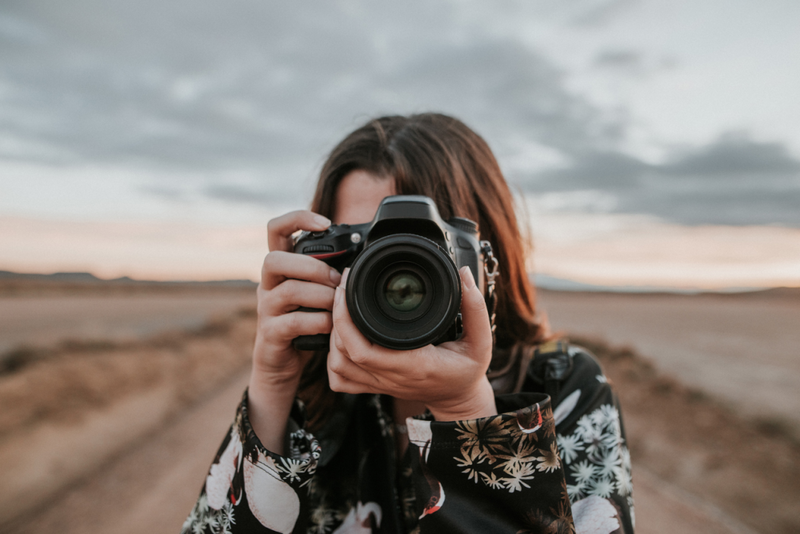 Rawpixel is currently working on a project called World Face, which seeks to take pictures of people from every country on Earth and make them available for free. Due to StockSnap’s quality standards, all of these photos are rendered in high resolution. They’re also free for anyone to use, per their Creative Commons CC0 license. Almost all of the stock image websites covered thus far place an emphasis on the new. This means that one way to make your own website greatly stand out from the competition could be to use older photos. New Old Stock, a Tumblr blog created by product designer Cole Townsend, collects vintage photographs from Flickr Commons. The images found on the collections span the history of photography. There are also plenty of posters for variety, including iconic propaganda prints from the World Wars. 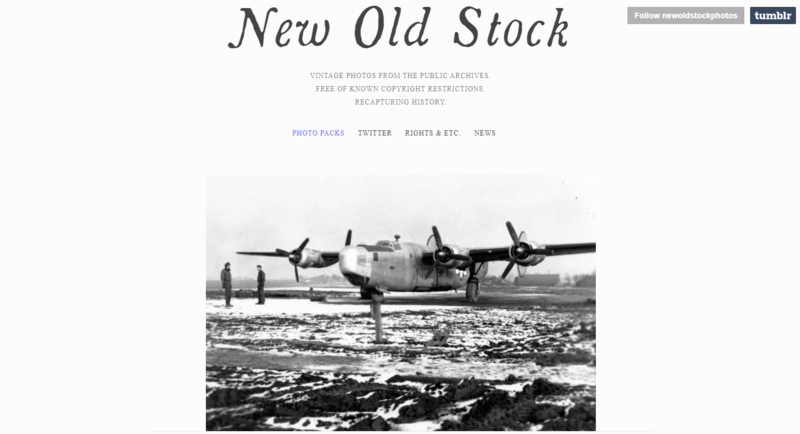 Not every website would benefit from this, but anyone within this niche will certainly find New Old Stock a blessing. Plus, because these images are so old, they have no copyright restrictions — at least, none of which Townsend is aware. As you have seen, many of these free stock image websites utilize Creative Commons licenses. Creative Commons is a non-profit organization that gives creators in various fields the ability to waive some or all rights for their work. In a time when corporations strongly protect their grip on copyrights and intellectual properties, this group seeks to make more art available that other creators can use or even build upon. To help people find uncopyrighted works, Creative Commons has a website, Creative Commons Search, which gives people easier access to all the public domain content on a number of websites. For images specifically, you can type a term in the search bar and click on links to the aforementioned Pixabay, as well as Google Images, Flickr, Wikimedia Commons, and Europeana Collections. 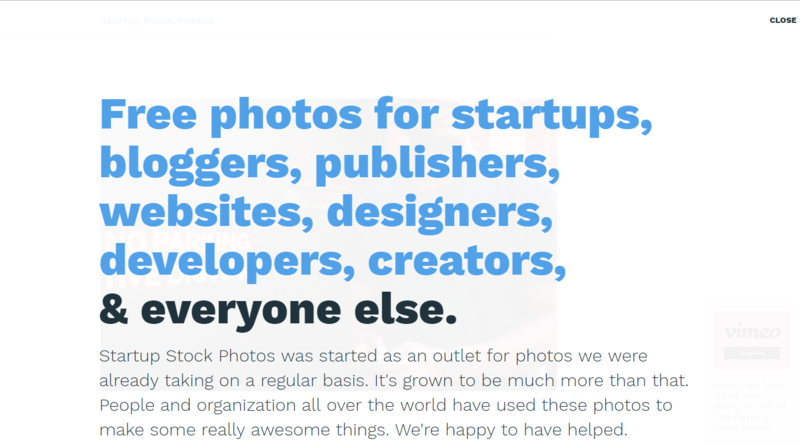 This list is just a small sample of the many excellent free stock photo websites out there. You can easily find unique and relevant photographs without even having to compromise on quality and image resolution. There’s no need to settle for dull, widely-used, pixelated pictures that come with a price. 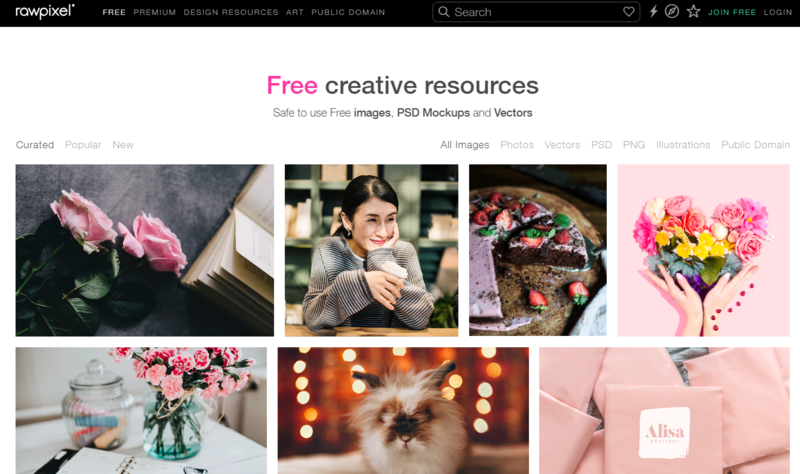 Use these resources to find free stock photos that break the mold, grab people’s attention, and make your website stand out.